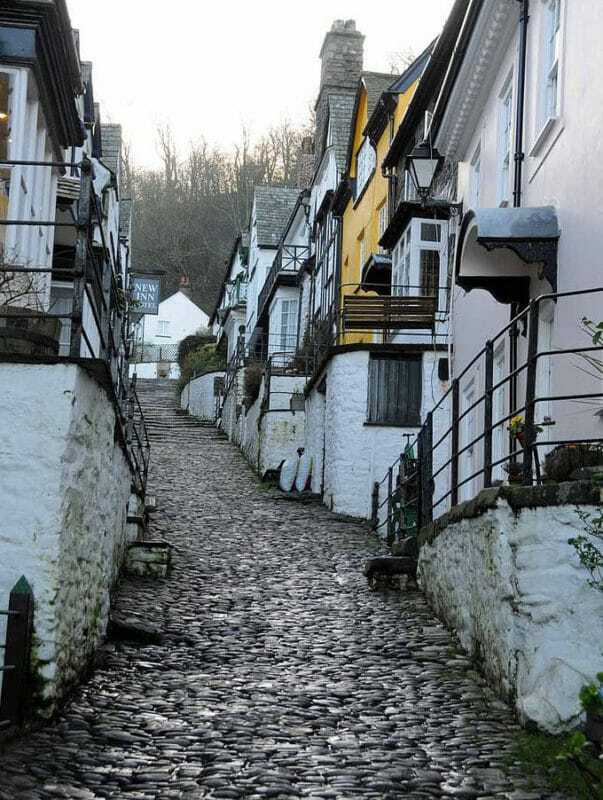 Clovelly in Devon is a short steep cobbled climb in one of Britain’s most attractive villages. 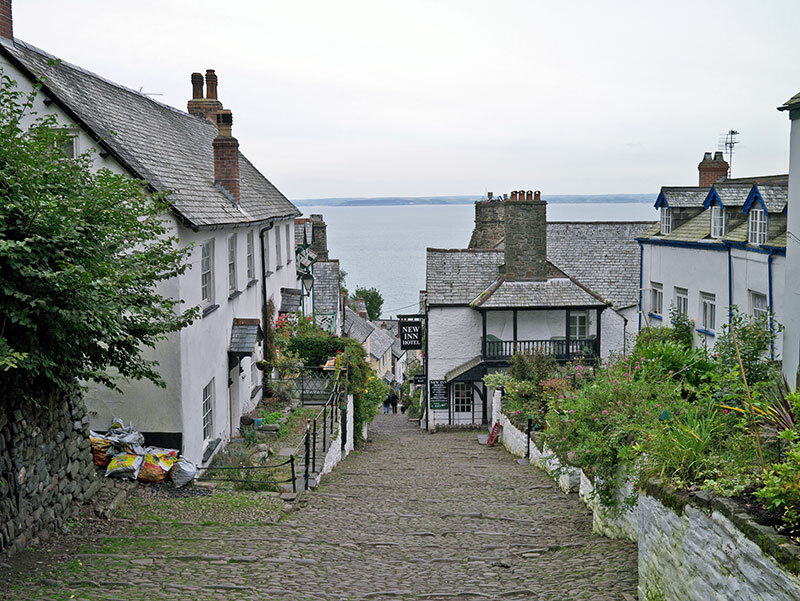 The main climb starts near the sea and goes up a steep cobbled climb. On the plus side, the road is pedestrianised, but on the downside the cobbles are quite rough. The first 200 m are the hardest. 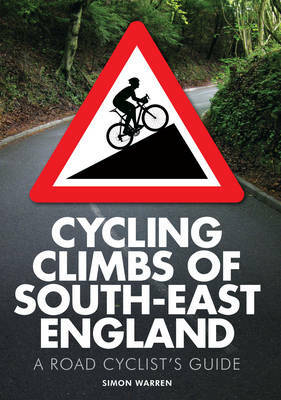 As you progress further up the climb, there is some relenting in the gradient. The full climb joins the main B3237 road, but it is the cobbles from near the coast line that make this such an iconic climb. Descending the climb is no easy feat, but it is quite photogenic. Interestingly, goods and refuse are translated from the lower parts of the village to the top by sledge.